Giving your buddy the perfect bucks party is the ideal party before he gets married. You have exciting ideas flowing in your mind but still, don’t know how to execute them. What you need is come up with destinations which will offer you a time of your life. The location should have plenty of fun things to do to ensure the buck enjoys adult party entertainment to the fullest. Parties are meant to be mind-blowing. Anybody outside the group attending the party is not supposed to know what transpired. A buck or a hen has the liberty of going wild in the party. Plan an incredible bucks party in Australia by visiting Sydney. For starters, you have so many places to explore in this city. Many party people consider Sydney as the mecca for parties as it never stops. You can visit the opera house, the Harbour Bridge and the Bondi Beach for ultimate fun. While at it, book yourself to the luxurious Hilton Sydney which is in the heart of the CBD which makes it ideal due to its proximity to clubs and restaurants. Brisbane is one party destination that offers a lot of untapped potentials when it comes to entertainment. It is awash with fun houses and would be ideal for party entertainers. Whether you are attending a bucks or hens party in Brisbane, you can slow down and explore its suburbs while enjoying the scenic Brisbane River. In Brisbane, you have fun in an uncrowded environment devoid of the big city feel. Book yourself to Tryp Fortitude Valley which is decked out with brilliant street art by some of the greatest Australia’s artists. Enjoy your hen’s party in Brisbane at Tryp Fortitude Valley rooftop bar while having a view of Brisbane nightlife. Gold coast offers you all when it comes to sun-soaked beaches to a weekend night out. This is the ideal for bucks and hens parties. You have plenty of activities to undertake during the day like visiting theme parks. If you are feeling lucky, you can try your hand at Jupiter’s Casino. Pick the Q1 Resort & Spa as your accommodation as it located in the tallest building in Australia. The beautiful views of the beaches beat all the competition. If you are considering to plan an incredible buck’s party in Australia, Melbourne is the city for you. Whether it’s a hens or bucks party, Melbourne got you. Its sprawling shopping, culture and alternative bars give it an exotic feel. Explore the city alleyways and shop the Queen Victoria Markets. Also, don’t forget to search for the hidden bars in Chinatown. Whether during the day or night, in Melbourne it’s always a good time. You can choose the Crown Towers as your accommodation choice which is located at the Crown Casino Complex. The complex also offers other numerous fun activities that will excite you. Do you need a place with small bars, Perth should be your party destination. The city offers endless days of sunshine and a coastline with beaches. Holding your buck’s party in Perth will be a fun-filled event. You get to start your day by sandboarding and surfing, diving and jetpacking. Perth offers it all sun, surf, and adventure which is the ideal party starter for any party. Party entertainers are always looking for party destinations. The success of the party is most of the time influenced by location depending on what you need. It’s therefore important for you to research well to choose the destination that meets your needs. To plan an incredible bucks party in Australia require you to choose the perfect destination. Whether you are a bride-to-be looking to throw the best hen party or the groomsmen who have to find the most exciting activities to send off a couple in style, you want originality in any hen and bucks party. The party before the wedding has to be exciting, fun and has to offer a variety for all the guests who will take part. If you are searching for what to do before a wedding that is fun as well as affordable, you should consider visiting Luna Park in Sydney. This theme park has a retro feel that is perfect for adults and the rides are exciting. This is an option that can be great for people not looking to go over budget but who still want to have a memorable time. There are many companies that can help you put together a treasure hunt if you do not want to set it up yourself. This is a great idea for a large group of guests and it can include a visit to many beautiful locations in the city. The treasure hunts are usually about two hours long and finish with an award ceremony and your favourite drinks. Host an afternoon tea for the bride-to-be at the beautiful Gazebo Wine Garden. This option is ideal for the classy bride who enjoys champagne and delicious morsels in a gorgeous location. For a more do-it-yourself bride, you can choose to have a picnic at Bradfield Park right under the Harbour Bridge. For the party that wants something fun and classy, then a life drawing class is a great choice. These classes usually last two hours in a beautiful location with a professional art teacher who will show the group the basics of drawing. You can also choose a high tea option for the classes that include champagne and all manner of delicious foods. Learn to make stunning cocktails with this party option. These classes are led by experts in cocktails and real bartenders who will show you how to blend your favourite drinks and how to even create your own. You can sample a variety of drinks and enjoy lunch or dinner right after. Any of these options can provide a fun, creative touch to a hen party. You can try exciting things like treasure hunts, and learn new skills like cocktail making. Turn a bucks party in Sydney into a special night everyone will remember with these ideas. Why are customized engagement rings the star of every romance? When you ask someone how to buy engagement rings, they will probably tell you all about the “two-month salary” rule. Does it make sense to spend two months of your hard-earned salary on a diamond right for engagement? If that’s how you buy proposal rings, how does one buy wedding rings? In most of the cases, women do not continue wearing the engagement ring after their wedding. They replace it with their wedding ring. The modern woman does stack her rings together or wears the other one on her right ring finger, but even that does not justify the “two-month salary” rule. What should be the value of your engagement ring? According to the younger generation, proposing is not the tough part of the romantic moment, but finding the right ring is. It is easier to pop the question than to decide on your budget for the ring. The decision is not always rational and logical. The choice of an engagement ring is often emotional and the existence of these “two months’ salary” rules, age rule and the car rule do not help the situation at all. So, what should you consider while choosing the engagement ring for you bae? Your lady must have mentioned what the one engagement ring they really wanted. Whether it was a three-karat rock or a speck on a gold band, her choice will reveal a lot about her taste. It is safe to assume that women like it big. We have never seen a rock under 1 carat elicit as much excitement as a big one. Even if your lady is super smart, charming and intelligent, there is no way she will overlook the size, shape, color, and clarity of the diamond on her ring. If you are wondering if you can forgo diamonds and going with other gemstones, don’t even think about it! Instead, check out Jannpaul engagement ring designs that will fit your budget. You can be sure that your girlfriend has been thinking about her engagement ring for quite some time now. All women fantasize about engagement rings. They dream about the perfect clarity, cut, and carat. She may have even mentioned that cushion shaped solitaire ring in platinum or the halo diamond ring in white gold. If you do not find the exact design in the store, you can build your bespoke engagement ring from scratch with on the website. If you have stowed away money for buying the perfect ring for your precious one, then it should be easy for you. Check out the best quality and design your money can buy. If you don’t have enough in savings, then consider your potential income. Do you have a lump sum profit coming your way? Then you can think about splurging a little more than your savings will permit. It is imperative not to go overboard. Check all your options, compare the quality and prices, and choose the ring that will perfectly symbolize your love and commitment. When Celine Dion got married to René Angélil in 1994, she wore a 7-pound crystal tiara that had to be sewn to her head. Several tabloids pronounced it the “worst celebrity wedding looks ever“. Though her wedding dress was tagged as one of the most gorgeous dresses of all time, the tiara was a big no-no. Sure your wedding dress may be the showstopper on your D-day, but your wedding look is incomplete without the right accessories. Accessories have the power to make or break any outfit. When it comes to accessorizing, you have a plethora of options to choose from. But, it is best not to go overboard. However, here are a few accessories that you may want to unfailingly include in your wedding ensemble. Juliet Veil: Mostly associated with a vintage bride, this veil got a revival after Kate Moss chose to wear it on her wedding day. This 20s-inspired veil has a cap gathering at the top of the bride’s head that holds the veil in place. Two-Tier Veil: This veil is held in place with an invisible comb and looks impeccably stunning with a floor length gown. Bird Cage/Bandeau Veil: This type of veil is made to frame your face, and it pairs well with short swing dresses. Embroidery: You can wear embroidered veils with low-back or backless gowns if you don’t want their details to get lost. Mantilla Veil: This is a chapel-length veil with heavy lace embroidery that gives it a Spanish flare. It looks good with both, embellished and simple dresses. Bridal Barrette: Go for this if you plan to let your hair fall on your shoulder. The barrette will clip back your hair and keep your bangs from falling on your face. Hair Comb: Brides who want an up-do on their D-day can consider hair combs. These are also great for embellishing a birdcage veil. Tiara: You can wear this irrespective of whether you are opting for an up-do, or planning to let your hair loose. A tiara is perfect to complement the princess look. Think Anne Hathaway’s bridal look in the Princess Diaries. Fascinator: Fascinators give the ideal finish to the vintage-bride look. You can wear them with almost any hairstyle and also attach it to a birdcage veil. Flowers: Keep your hairstyle simple, yet stunning with flowers as your headpiece. You can stick a few flowers in your up-do, or wear a floral tiara as both look great on brides. Hair Ribbons: These are meant for brides who go for a braided hairstyle. They look good on both, long and short hair. Headbands: These will keep your hair out of your face if you are wearing your hair down. Headbands are also a flattering choice for brides with short hair. The last thing you want to worry about on your wedding day is your footwear killing your feet. Choose comfortable shoes so you can enjoy your day to the fullest. If you want to wear heels, make sure they’re comfortable because you will be standing for long hours and you don’t want to be cringing in pain before you have even hit the dance floor. You can go for kitten heels or stacked heels rather than stilettos. Look for heels with ankle and toes straps for more security. You can also consider adding gel insoles to cushion your feet. Another great advice is to pick a pair of shoes that you are likely to wear again. Choose silver over a pure white pair, as you can wear it later with different dresses on outings and other weddings. Belts and sashes make lovely wedding accessories. Just because your wedding dress doesn’t come with a belt doesn’t mean it won’t look great on it. You can customize your gown by adding a belt that is embellished with matching rhinestones and gems. Consider a classic satin sash or metallic leather belt for an instant upgrade to your ensemble. Make sure that the belt you choose complements your body type. Brides with a short torso should wear thin belts while those with a longer torso should go for wider belts. If you are slightly heavy at the waist, choose a beaded or heavily embellished belt. Women with a petite body frame can go for a belt with V-shape appliqué. Tip: Stick to a belt that is no more than three-inches wide if you don’t want it to overpower your gown. If your dress is strapless, skip the necklace and don an elegant pair of chandelier earrings. Wear clear crystal for a sleek look or add a hint of color with your birthstone or any color from the flowers in your bridal bouquet. Vintage-loving brides can add an art-deco style bracelet or wear a 20s-inspired feather barrette as a headpiece. If your gown has a V-neckline, wear a delicate chain with a small pendant or a crystal choker. For a classic look, single or double-stranded pearls are a perfect choice. Finish the look with matching earrings, and a gold or diamond cocktail ring. Skip the necklace if you are wearing a halter-neck gown. Instead, focus on your tresses. Wear a headband or a tiara to add panache to your bun. Choose a delicate ring from a plethora of stunning rings to go with this look. Keep it minimalistic and wear delicate diamond studs that will look striking with the up-do. Take inspiration from Meghan Markle’s wedding look. The Duchess of Sussex wore some of the most beautiful accessories – understated stud earrings, a tiara and a simple veil that complemented her messy bun. Once you have said “yes” to your wedding dress, it is time to look for the right accessories. The essentials mentioned above will add the finishing touches to your bridal look and complete your wedding ensemble. After all, the goal is to look the best and the most beautiful version of yourself on your wedding! Regardless of the season, a rustic outdoor wedding is always dreamy and memorable. What makes rustic style so popular among newlyweds is its charmingly romantic appeal. What’s even better is the fact that this type of wedding allows you to express your own creativity through numerous DIY opportunities. 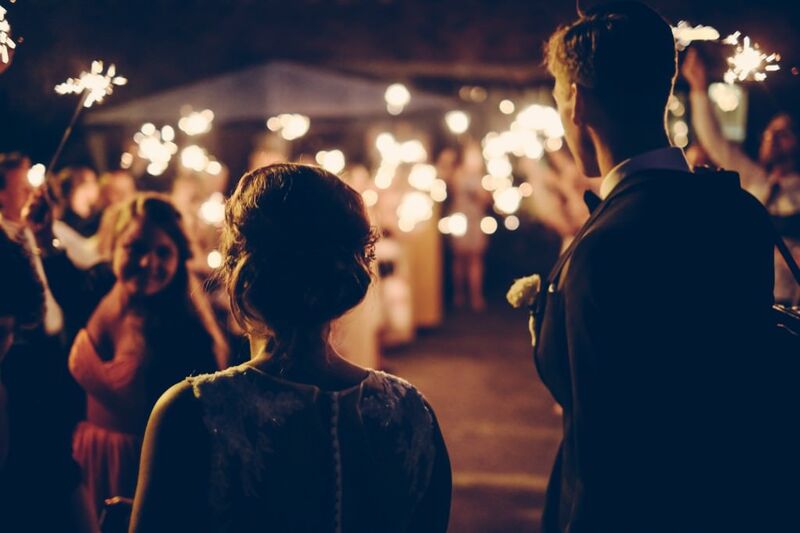 Whether you opt for a lush summer bash or a celebration with a touch of winter magic, a rustic wedding will be the one you’ve always dreamt of. 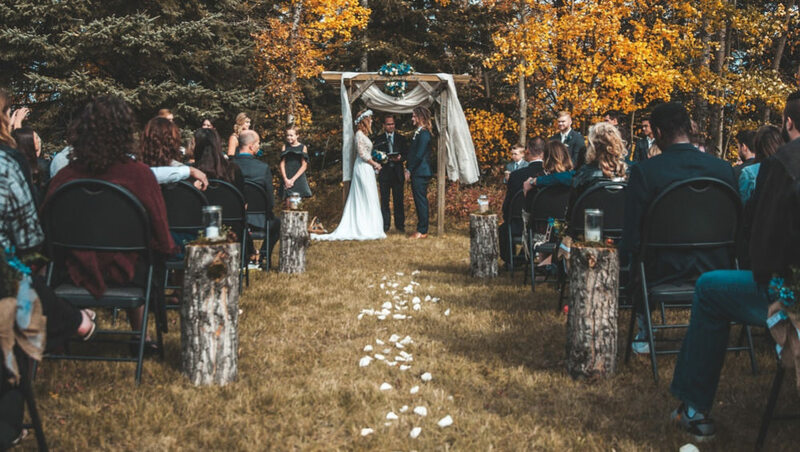 The very idea of a country backyard wedding narrows down your choices when it comes to your venue. If you have a family house in the country, you won’t have to look for a different location. However, if you still need to choose a venue, you can opt for a place by a charming lake or a magical forest for a truly authentic, nature-inspired atmosphere. Barns are also a popular choice for rustic weddings due to their enticing appeal. You can even go with your own lush garden if it meets your needs. Nonetheless, the venue should be big enough for your entire wedding party, seating arrangements and the ceremony spot. When choosing a venue, you should also consider its surroundings and see how the environment may affect your photographic opportunities. Finally, make sure that the venue you choose has enough restroom facilities, electrical plug points, etc. The colour scheme for your rustic backyard wedding should be in tune with your venue and the season. A summer wedding can be embellished with lively hues while an autumn one can feature a more understated palette of earthy tones. You shouldn’t go with more than three hues – you can choose a dominant colour and one or two accent shades. Since you want a rustic wedding, wood will be the most dominant material, bringing its warm tones. Beige and white are a subtle combination for a rustic outdoor wedding, along with soft, muted tones. Pastel champagne hues, wheat-inspired yellows and minty greens are also beautiful choices that can accentuate nature’s palette. 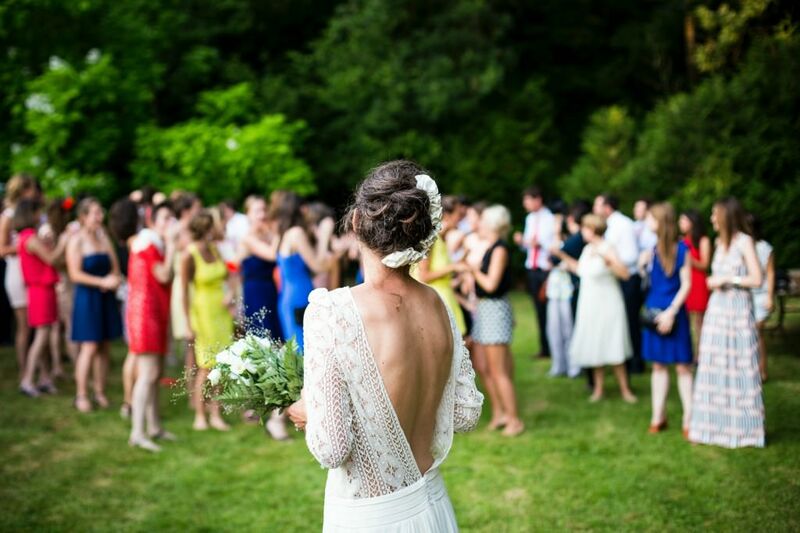 Backyard weddings are quite relaxed and easy-going, exuding peacefulness and tranquillity. However, you need to provide your guests with maximum comfort, so that both you and they can truly enjoy yourselves. And since you’re hosting your wedding ceremony and reception outside, you should make sure that your venue is appropriately equipped for different weather conditions. Thus, you need to provide enough shade against the sun or possibly rain. You can go with a large tent, but if you want to try something more authentic, you can install modern and functional rotating cantilever umbrella for a cosier vibe. 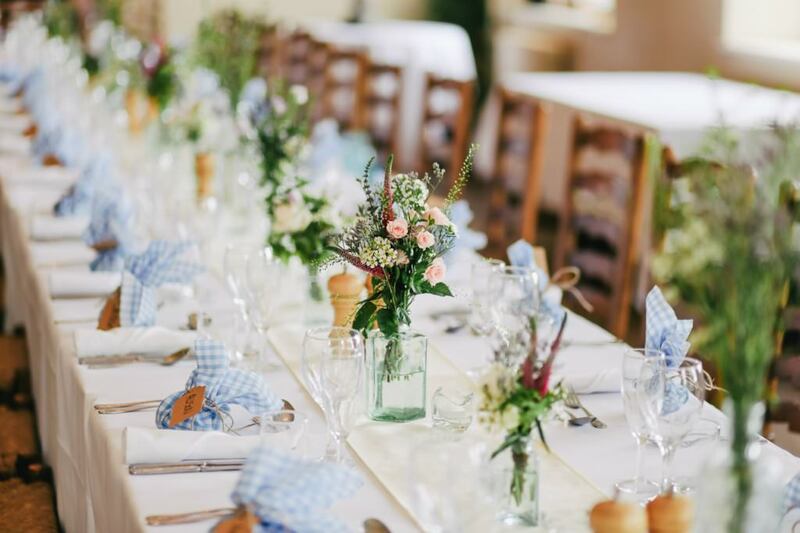 This will enable you to arrange tables and chairs in circles, which will create a more intimate atmosphere at your wedding. Each table can have its own umbrella that can be easily adjusted and re-positioned depending on the sun. When it comes to the table and seating design, there are plenty of inspiring ideas that will help you capture the rustic spirit. Wooden tables and chairs are the most appropriate option while hay bales can be used to create cosy lounge areas for relaxation. You can go with a vintage design that will truly bring authenticity to your wedding. Antique wooden chairs can be paired with a simple, yet elegant white tablecloth embellished with rustic details. You can introduce centrepieces and decorations appropriate for the specific season and theme. 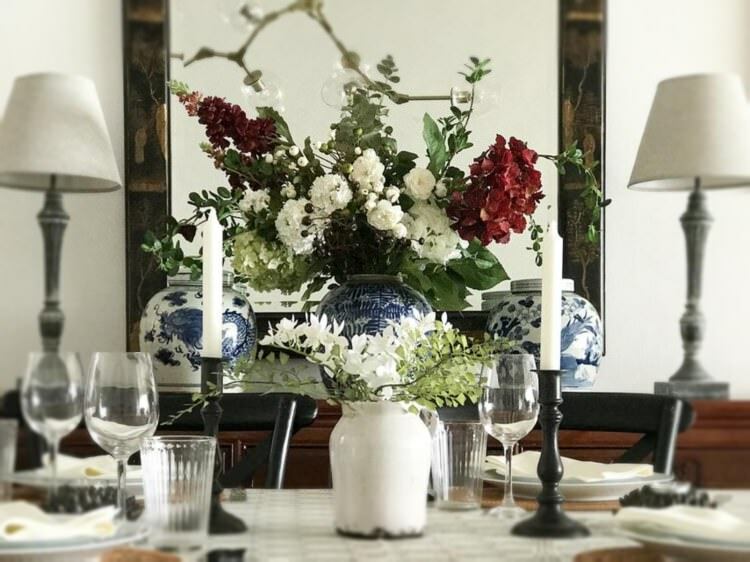 From lush, soft flowers and flickering candles to wheat-inspired decorations, branches and garlands, you can truly bring life to your tables. Leaving your tables bare without any cloth will allow their rustic wood finish to come into focus. Embroidered napkins, wheat-inspired table numbers, antique details and dinnerware with vintage motifs will be in tune with your rustic backyard wedding. After the fiery colours of sunset have passed, you’ll need to turn the lights on. With appropriate lighting, you’ll be able to create a cosy, romantic atmosphere. However, lighting will also provide you with an opportunity to be creative and authentic. You can place candles in mason jars on the tables, use magical string lights in trees or even create chandeliers using wheat or mason jars. Another great idea that will create a whimsical effect is placing fairy lights under a table dressed in a lacy cloth. This is a stunning idea for the bride’s and groom’s table that will stand out as a focal point. Paper lanterns featuring your chosen colours can also illuminate your wedding magically while elegantly floating in the air. Your wedding ceremony will be the highlight of your wedding and the beginning of your new life. Therefore, it should definitely be magical, memorable and inspiring. You should make sure to design the perfect spot where you and your loved one will say your vows. You can design a rustic ceremony arch using wooden arbour. 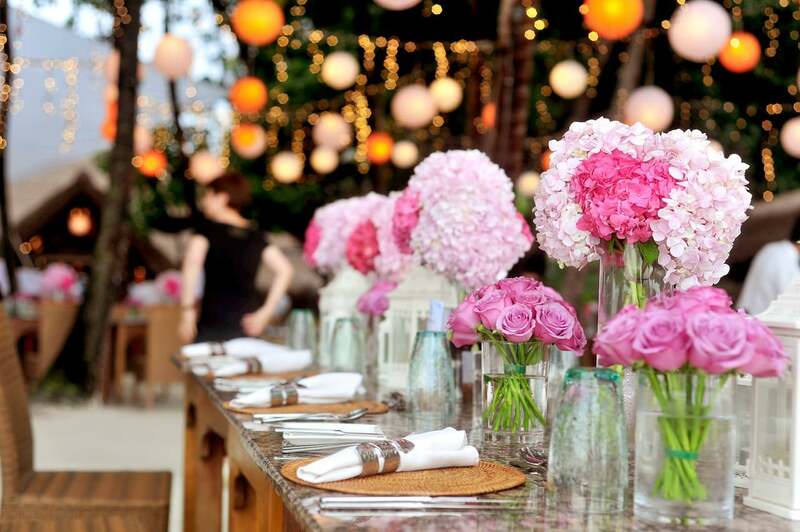 Embellishing it with simple, yet charming linen, string lights and flowers can give it a rustic vibe. You can also create your own wedding backdrop using a flower-adorned piece of linen. You can simply attach lovely flowers using T-pins or embellish it with other inspiring decorations. Garlands of wheat can also be used to create an ethereal effect while old wooden doors can be used as a backdrop for your ceremony. Bringing the rustic theme to your wedding treats, cake and drinks is surprisingly easy. You should keep in mind that you’ll be spending the entire day outside, so you should opt for alfresco-friendly food and a seasonal menu. If you’re having a summer wedding, you should serve refreshments regularly – cold juice, champagne and iced cocktails are a perfect choice. Winter, on the other hand, requires you to keep your guests warm and cosy using hot chocolate, cocoa, coffee, warm apple cider, etc. As for your wedding cake, you can place it on a piece of wood, use simple glazing and surround it with natural accessories. Cupcakes, finger foods with tasty dips and other treats can be displayed and served on wooden cut-outs and shelving. Designing a rustic outdoor wedding in a magical country backyard will provide you and your guests with a truly memorable experience. Most importantly, this style will enable you to express your own creativity and taste through amazing DIY projects. A celebration of someone’s love – there are so many things to be excited about. You have to choose a dress or suit, shoes, gift… Wait, gift?! 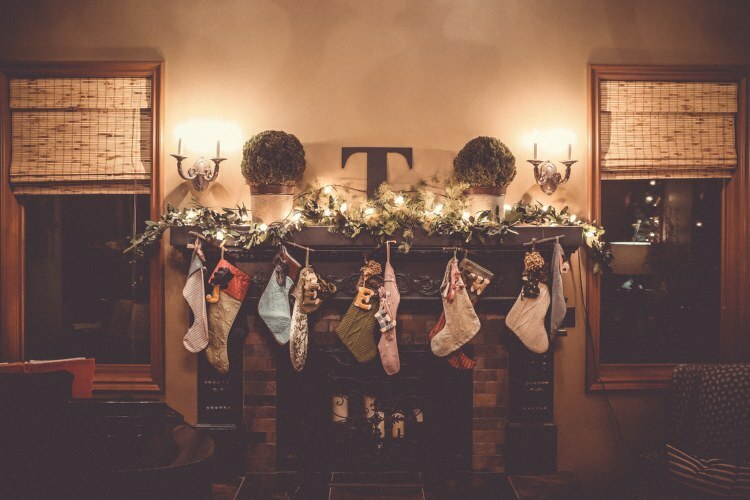 Two families work so hard arranging the event, so the couple deserves the perfect gift. While you are choosing what to wear, you have to think about the couple’s wishes and choose a gift that they will appreciate the most. Yes, you can always give them money, but maybe you can try with something more unique, personalized, something that will make a real impression. If you want to give them a thoughtful gift that the couple will show off to their friends, or that will stay in their heart as a nice memory, follow our suggestions and get inspired! The couple is starting their marriage journey, so you can compare it with traveling. Which country did they go to, and where do they want to travel? Buy them a globe with corks so they can easily track their travels and explorations. This can be a great reminder of their goals and wishes. Also, you can buy them matching travel bags with their last name, or even with a Mr. and Mrs. tags as an accessory. At weddings, everything is about the couple. If you know them well, you can find a nice photo of them and print it on any decorative item, such as a photo frame, photo collage, throw pillows, or even a lamp. Moreover, you can think about their first Christmas together and put their names on a nice ornament or an embroidered stocking. This kind of gift they would not only cherish themselves, but they would also love to show off to others. Also, this will show them that you’re thoughtful and that you celebrate their love yourself. If you want to surprise your dear friends, you have to be creative. We’ll give you a little hint – buy all these small decorative things you know the couple will like and put them in a basket. For example, you can find a magazine holder, carpets, candlesticks, a jewelry box, ice bucket, table lamp, tray, or anything that suits their home decoration the best. If you like this idea, you can always take a look at some beautiful Karavan homewares and accessories. Next, you have to think about gift decoration. When you pack all of these things in a basket, put their favorite flowers and chocolate in it. This will bring a surprise effect, so when they remove the flowers, they will find all these things they love. What does the couple have in common? If they are passionate about cooking, dancing, history, culture, or anything else, you can buy them tickets for a class or course. If you want to be funny, you can even buy them tickets for a lap dance class. They will probably get a lot of items for their home from other guests, so this gift can be something different and priceless. They will get out of the house and enjoy each other’s company. After they finish the course, they will both have a skill that will stay in the family forever. For most families, the breakfast is their favorite time. They are sharing their troubles and expectations and discussing them while preparing for a long day. So, think about buying a coffee or a sandwich maker built for two. These things can make their mornings easier and give them time for chatting. What if they’re not a romantic couple? The truth is that not everyone likes the matching towels or pillows. If the couple is practical and they like to do things on their own, you can always buy them a tool set. 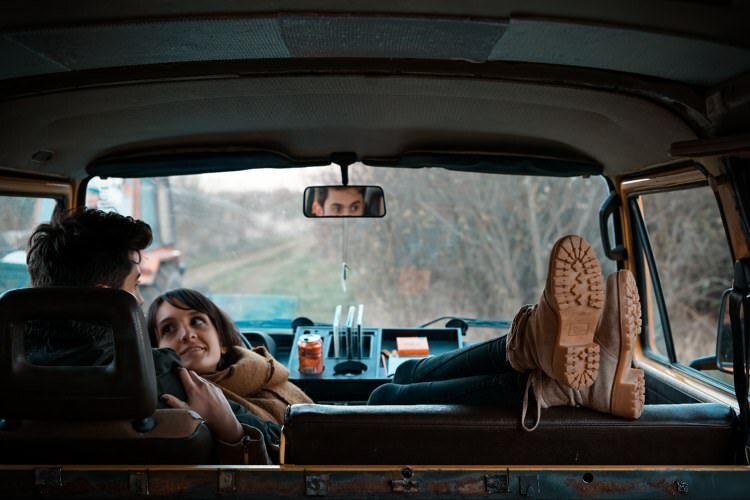 For a couple that has just started living together, this can be extremely helpful. This set can last forever, and they can even get creative and try to make things on their own. Moreover, you can add an inspiring note such as “build your life together”. You have so many exciting options, so which one would you choose for your wedding? Think about the couple and you will know which suggestion is the best for your gift. “A copy is worse than nothing,” Frank Herbert wrote, and his words have never rung more true. Today, being original has become the ultimate challenge. While it’s definitely easier to go with, than against the stream, there is also the fact that we are immersed in trends to the point of sensory overload. 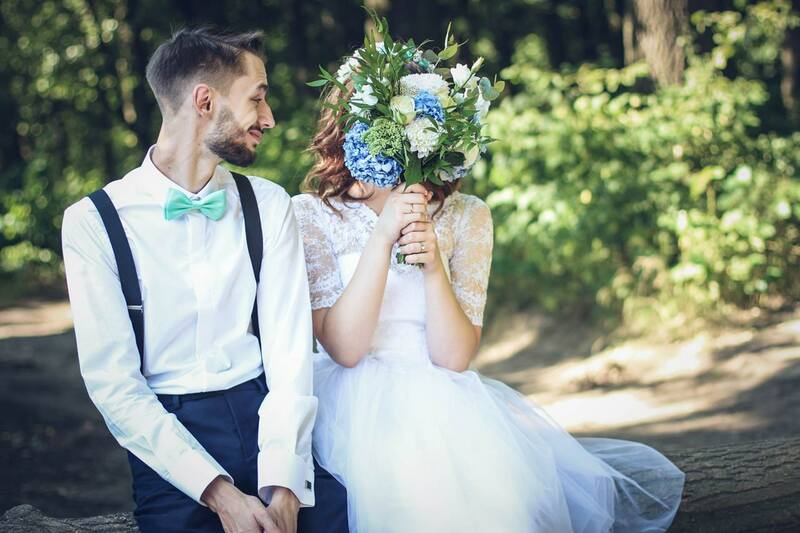 It is no wonder then that most couples decide to go for the obvious – a generic wedding: renting a venue, deciding on a menu and sending invitations sounds like a no-brainer. 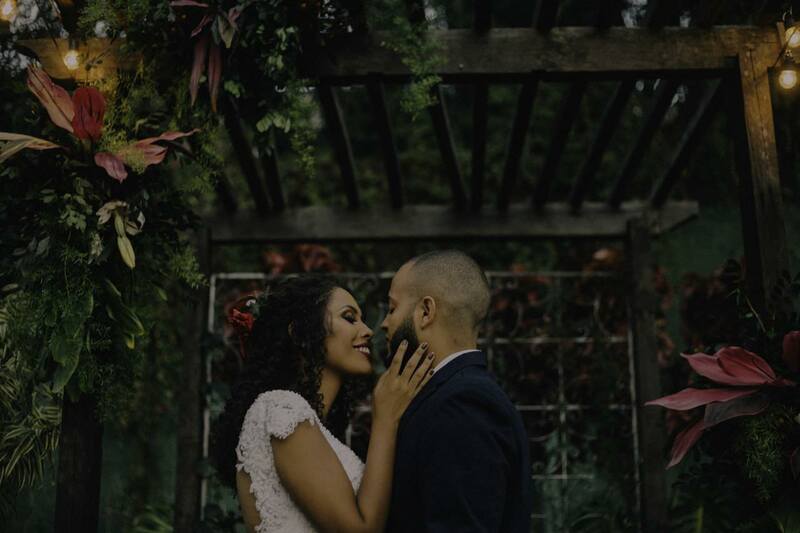 But if you’re one of those lucky people with a nice garden or a backyard and would prefer your wedding to have a more intimate, more romantic feel, organising a backyard wedding might be a great idea. Having a wedding at home has many advantages, but most importantly, it will give you the freedom of being in control of every single detail, from picking the date and creating a fully customised menu to decorating and using the space to its full potential. 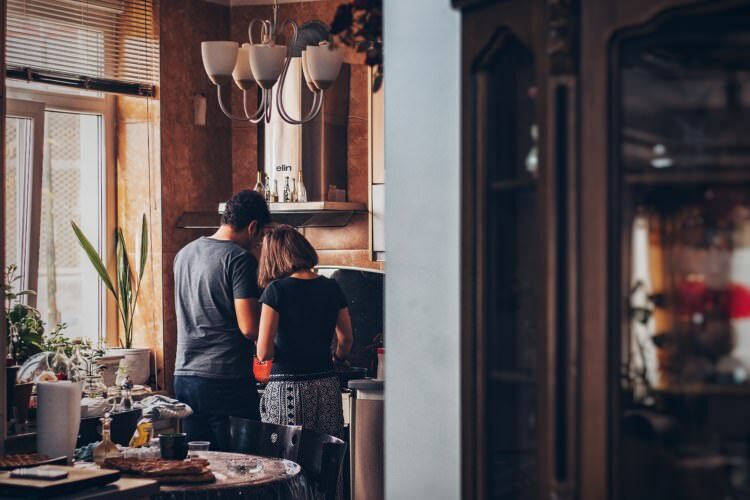 Since it offers a lot of convenience and flexibility, this could be a perfect solution for couples on a budget who are feeling creative and like to be in control of things. You will need to start planning at least six months in advance, the most obvious reason being thorough preparation of your backyard. If your backyard is already in great shape, all the better, but if not, you will want to consider preparing the lawn: sowing grass and planting takes time. Flooring one part of your backyard might also be a good idea – it will even the terrain and prevent sticky situations in case of rain. Also, you will need to check your insurance coverage, obtain a party permit if necessary, consider parking capacities for your guests, and, of course, check with the neighbours to see if they’d object to the noise. Once you’ve made sure your backyard will be able to accommodate your guests, carefully consider the furniture and the amenities that you plan to use and make an outline of where to place them. You will have to provide an adequate number of tables, chairs, benches, lounges and other seating to make everyone comfortable. Portable bathrooms or toilets and washing stations are a must. Since at least one toilet for every thirty or so guests will be necessary, you might want to check the plumbing beforehand so as to avoid unpleasant accidents. Provide generators for powering the lights, the music, outdoor refrigerators, and other electricity-dependant equipment. The weather is also an important factor in planning, as no matter the forecast, surprises are always possible. To protect your guests from both the sun and the rain, think about renting a quick-assembly tent or canopies, umbrellas, and parasols. Depending on the time of the year, try and include fans or outdoor heaters and blankets, especially if you’re planning to party far into the night. Probably one of the biggest advantages of having a wedding at home is the ability to decide on the decorations in detail. Once you’ve picked a theme, you can start your search for decorations and other objects to give a personal touch to the setting. 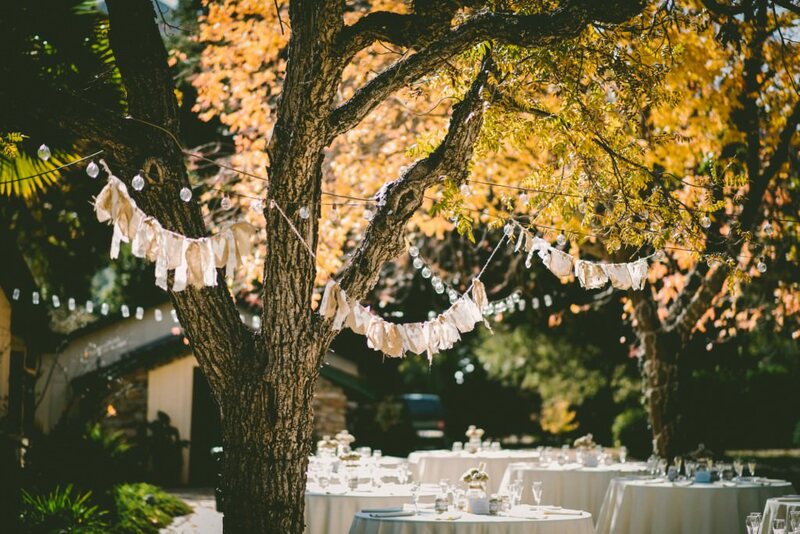 For example, trees can be used to hang banners, string lights, lanterns or glass jars with candles. Walls can be painted or, even better, covered with amazing outdoor wall art which is more durable, more weather-resistant, and easier to apply. The best thing is, it can grace your walls for many years to come. Rustic-style wooden tables are a great choice if you don’t want to worry about dirtying the linens. Use tree stumps to place all the extra lightning, food or tableware that otherwise wouldn’t fit on the tables. And, to make it easier for your guests, you can put up signposts to point them in the direction of the amenities. Making full use of the setting will require some well-thought-out planning. On one hand, you will want to include all that is necessary to accommodate your guests, store the food and drinks and provide maximum comfort. On the other hand, you will also want to avoid the space getting overcrowded and people being unable to move freely. If your space allows it, having a bar would be a great idea, and if you’re keen on preparing the food by yourself, you can also include grills and roasters, or even a small outdoor kitchen. 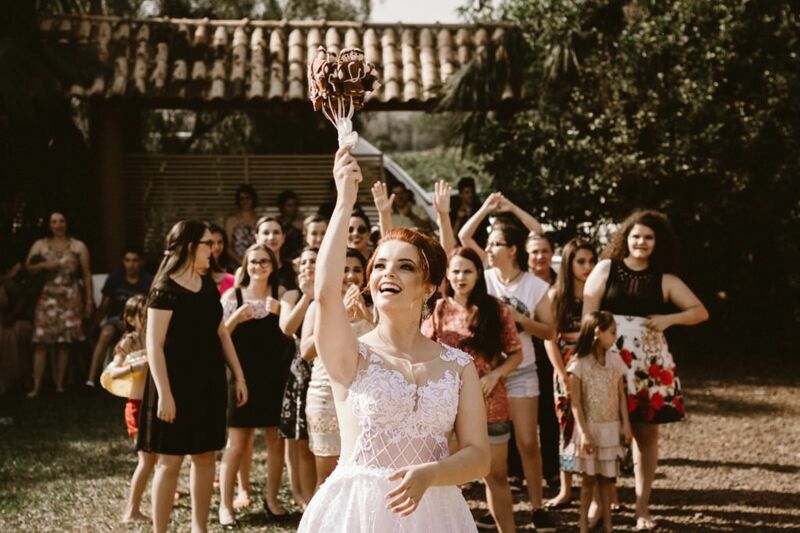 Otherwise, you will have to rely on caterers, in which case you’ll need to carefully plan the timing – you don’t want your wedding cake and other desserts to melt into a puddle of goo in the heat. Organising a backyard wedding can be demanding, but it’s also very rewarding. In addition to the intimate, relaxed feel, it will also give you the opportunity to get exactly what you want at a relatively small expense. From chairs and tables to grills, tableware and decorations, you can use what you have, and what you don’t, you can always borrow or rent. Food can be prepared at home or catered, and if you don’t want to hire staff, you can ask your family and friends for help. 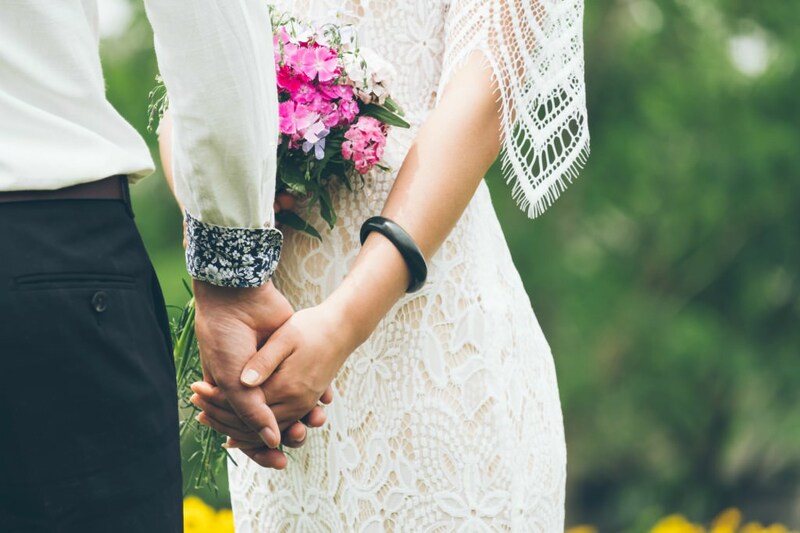 Finally, and I’m sure you’ll agree, there’s no better way to start a life together than bonding over organising your own wedding with a joint effort.